Johnnie Lee Bourne passed away at 100 years and 4 months on March 21, 2019. She was born on November 24, 1918 in Barnwell, South Carolina to John Henry Williams and Emily Cohen Williams. She was one of 13 children ... 10 preceded her in death. Although her formal education was limited, Johnnie was a shrewd and resourceful person. She was organized, insightful and a financial whiz. 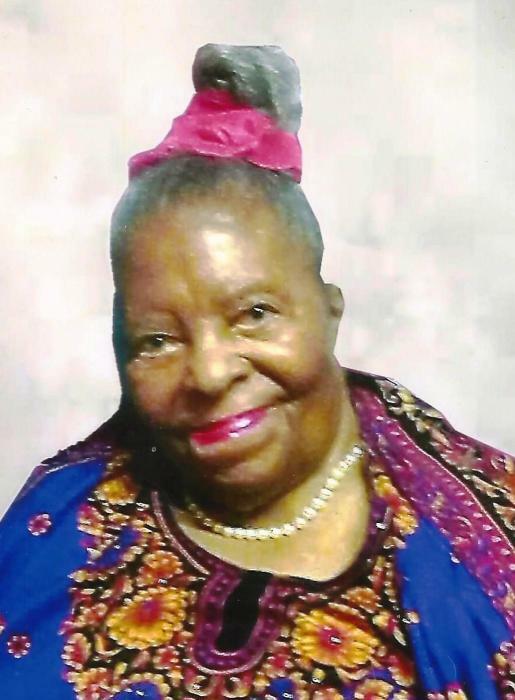 Johnnie grew up on a 200-acre sharecroppers farm where she learned to raise livestock, and to cultivate various life-sustaining fruits and vegetables and hunted squirrels, rabbits, and possums with her family. In those days, the family were members of the Baptist Church. Johnnie left the farm at age 21 in 1935 to relocate to Boston to help earn money to send back to her family. In the early 40’s Johnnie met the love of her life, the late Joseph Gleslyn Bourne. They were married in 1941 and two handsome sons—Joseph and Fredrick—were produced from that union. Johnnie and Joseph were happily married for 67 years. They settled in Cambridge and built a loving life together. It was at the height of World War II during the turbulent year 1942 when Johnnie and her Joseph united with St Paul African Methodist Episcopal Church (under the pastorate of Rev P.V. Sterret). They were immediately woven into the fabric of the church doing all they could to the glory of God. For more than 50 years Johnnie served on the Lucy A. Brown Stewardess Board # 3. She held the office of treasurer for many years. At Johnnie’s 100th birthday celebration, to capture the essence of her life, the Stewardesses share the scripture, “In all things I have shown you that by working hard in this way we must help the weak and remember the words of the Lord Jesus, how He himself said “ It is more blessed to give than to receive”. Johnnie prepared meals and maintained the homes of many families in the Newton, Harvard Square, Wellesley and surrounding cities. This interaction provided opportunities to invest in many lives in meaningful ways beyond the service she provided. She ironed beautifully and sometimes worked from her home. The appreciation these families felt was noted by the gifts (a car, money, calls) they gave her even when she was no longer working. They loved her and sent cards for her birthday and at Christmastime. She was nicknamed Lee, Lee. Whether out on her day job, her duties at the church, or at home with her family., Johnnie was known to be a diligent worker. God blessed her to be of sound mind up until the year before her passing. Johnnie was a loving, caring person, devoted wife, mother, grandmother, great grandmother, mother-in-law, aunt, god mother and friend. She always thought of others first. Johnnie will always be remembered for her kindness, her generosity to her family, her neighbors, her friends and her ability to put a smile on your face. Johnnie leaves to cherish her loving memory, her son Joseph of Arizona, her sister Alethea Brown of Pittsburg PA, sister Susie Catherine Williams of Ft Lauderdale Florida, daughter-in-law Mona Rudolph Bourne (who was as her daughter and also was her kind and loving caregiver), 10 grandchildren: Joseph, Nancy, Angela (Reuben), Evelyn, Cassaundra (Reginald), Michael, Stephen, Keith (Tara) and DeYandre (Craig) 25 great grandchildren, god children - the Dottin, Bush and Jones families, plus a host of nieces, nephews, cousins and friends near and far. To know Johnnie was to love her. She will be greatly missed by all whom her life touched.